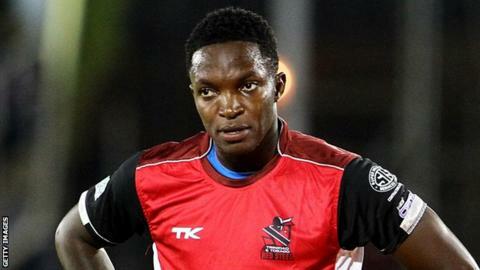 West Indies fast bowler Fidel Edwards says he is excited by the opportunity to play for Hampshire. Edwards bowled his first overs for the county on Monday in their T20 victory over Dorset. The 33-year-old sent down just three overs at a cost of 24 runs as Hampshire won on a faster scoring rate. "This is a new chapter and I've always wanted to come over and play, especially in the T20," Edwards told BBC Radio Solent. "Watching them on TV they look pretty exciting so hopefully I can get a couple of T20s under my belt and hopefully do good in the four-day games." He arrived earlier than planned because of an injury to Australian Jackson Bird, and Edwards knows exactly the job he has been brought in to do..
"My job is very easy; bowl fast and get wickets," he added. Edwards will return to the West Indies towards the end of June to play for the St Lucia Zouks in the Caribbean Premier League but will return to Hampshire after the tournament. How will Mourinho handle 'tricky' third season? Read more on Jose Mourinho: Can Chelsea boss build a dynasty after winning title?